Equipping yourself with essential yoga accessories becomes highly crucial if you are a yoga enthusiast. From yoga apparels to yoga mats all become important if you perform yoga postures every day. 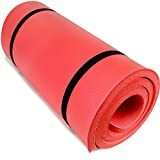 The market today is flooded with a large number of thick yoga mats which are made with high precision. Getting a perfect mat with the right size and dimensions is vital to perform each yoga posture with perfection. 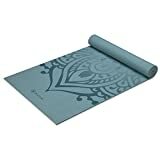 If you are also a yoga enthusiast and looking for a great yoga mat, the listicle below is meant just for you. 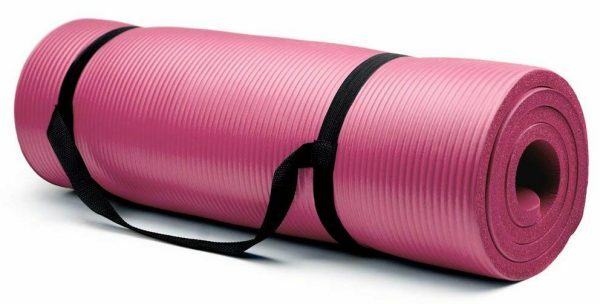 We have provided a detailed list of some of the most lucrative yoga mats of the year to make your hunt easy. So check them out and their features to get one for yourself. 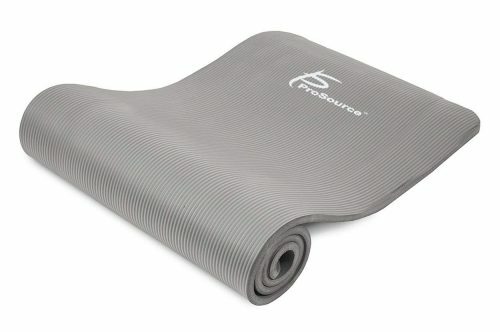 This 1/2 inch thick yoga mat from Prosource is perfect to carry anywhere with you. It is extra long and extra tick for endowed extra comfort to the user. It is excellent not only for yoga but pilates and other exercises as well. It is extra thick and 71 inches long. Being water resistant maintaining the mat is not a problem at all. The non-slip surface adheres to the surface for maximum grip and stability. The yoga mat from Shantihi comes with many added advantages. It is not only perfect in size and dimensions, but the use of apt materials enhances the life manifolds. It is made up of eco-friendly material as well. The mat is equipped with non-slip and high grip features for extra stability. It can be used from both the sides. It is not only light in weight but also easy to carry anywhere. The dimensions of the mat are 72”x24” and thickness is 5mm. Crown Sporting Goods are highly reliable, and when we talk about their yoga mats, there are no reasons to doubt the authenticity. Extra thick and perfect size makes it one of the best products in the category. It is ultra-thick 1-inch yoga mat. The shoulder sling bag coming with the mat makes it easy to carry anywhere. There are no-slip ridges for preventing an accident while performing yoga. The moisture resistant material makes it easy to maintain. 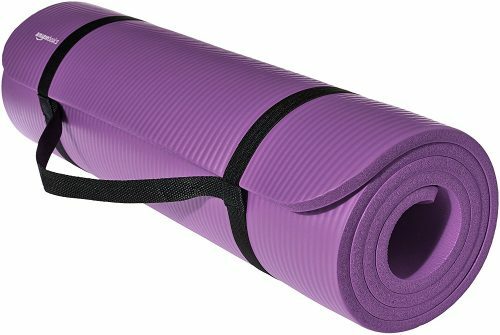 The yoga mat from Crown Sporting is one of the most reliable products. Not just the use of high-grade materials makes it alluring, but the extra stability and traction make it perfect for every day. The mat is 5/8-Inch Extra Thick and doesn’t have any stick ridge. There is a carrying handle on the mat for making it portable. It is non-slippery and thereby prevents from injuries. The mat measures to be 71 inches long and 24 1/4inches wide. 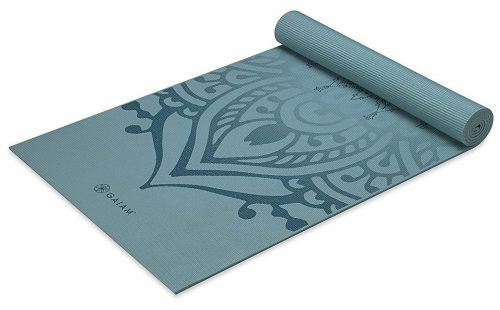 Coming from Gaiam this fantastic yoga mat meets the needs of users. The presence of many alluring features and apt size makes it one of the best to use. It can be utilized while doing all sorts of exercises. 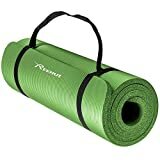 The yoga mat is light in weight and highly durable. The extra thickness provides a soft and comfortable feel to the user. Due to the sticky and non-slip texture, the mat becomes perfect to perform exercises. It is made up of nontoxic materials only. When maintaining your yoga mat becomes easy, performing yoga becomes a lot more fun and enjoyable. This product from Sivan Health fulfills this requirement and is therefore considered highly preferable by the yoga enthusiast. The mat is 1/2-inch extra thick for maximizing the level of comfort. The dimensions of the mat are 71 x 24-Inches which are wide enough to be used by all. The nonslippery base ensures you won’t get any injury by falling. It is easy to clean and lasts forever. 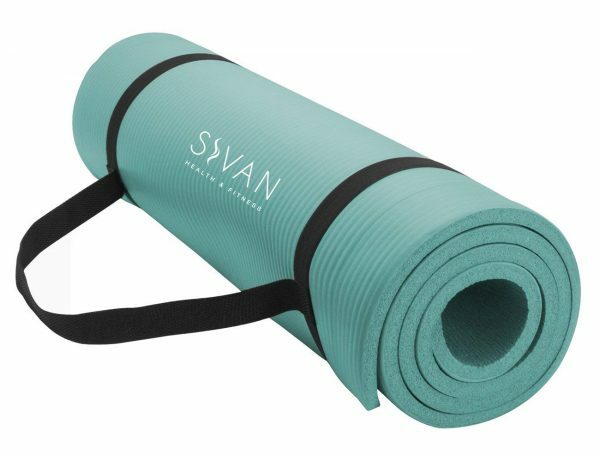 This is another wonderful yoga mat from Sivan Health. This is one of those brands which have made a remarkable place in the hearts of the users. This product is no exception due to the presence of every essential feature. 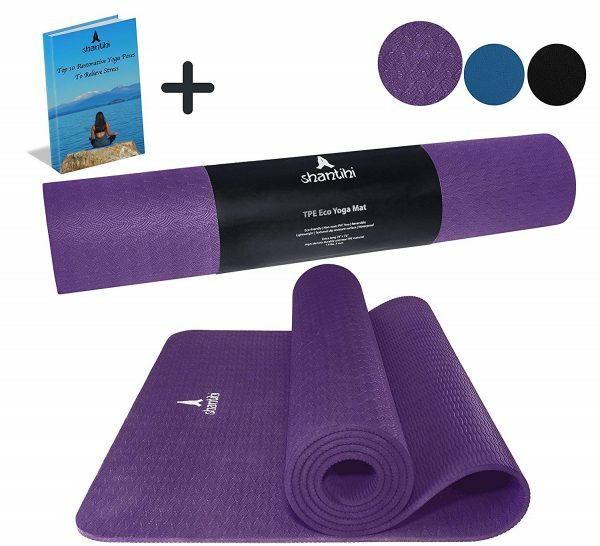 This yoga mat comes in a set which includes one exercise mat, one yoga hand towel, two yoga blocks, one yoga strap and one yoga mat towel. Each product is made with high-grade materials thereby durable and long-lasting. It is 1/2″ ultra thick for enhancing the level of comfort. The use of microfiber technology while manufacturing makes it non-slippery. Reehut is another reliable brand which is known to manufacture highly authentic yoga mats. The perfect size and apt thickness make sure that yoga performers will get a comfortable and plush feeling while using it. It is 1/2-inch extra thick and is perfect for all kinds of exercises. Due to high-density foam NBR material, the mat provides a soft and supple feel. It is double sided therefore can be used from either side. It is made up of non-toxic and eco-friendly materials. This is a wonderful all-purpose yoga mat which comes equipped with amazing features. Being extra thick and long it is a perfect mat to be used by all. It provides a soft and cushiony feel to the knees, elbows to make yoga an enjoyable activity. The mat is 1/2-inch extra and consists of high-density foam. The anti-tear technology makes it last forever. It has a non-slippery base so that you get great stability while performing different postures. Due to Moisture Resistant Technology, the mat becomes easy to wash and maintain. 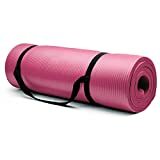 The best in the category of yoga mats come from Amazon basics which every product are worthy enough to make a purchase. From the thickness to the dimensions, everything is this product is perfect that elevate the worth manifolds. The texture of the mat enhances the traction so that perfect grip can be maintained. It is 1/2 inches thick and highly comfortable. The lightweight makes it easy to carry anywhere to perform yoga. It measures 74 x 24 x 0.5 inches (LxWxH) and thereby perfect for all. Having one of these yoga mat means having a perfect space to perform yoga postures with ease. Since they are made with high-grade materials, they last for longer durations. The high traction and ideal thickness make these mats the best out of all. So get one of these and make your yoga sessions a lot more comfortable and enjoyable.